Brazilian film director Oscar Maron Filho, who was here to attend the ongoing International film festival of India (IFFI), died today after suffering a heart attack. Filho was speaking at the open forum here this afternoon when he suffered a heart attack. He was rushed to the Goa Medical College and hospital where he breathed his last, sources close to the director said. Filho, the director of the biggest production house 'Atlantica Cinematographica' in Brazil, was here with his film 'Mario Filho: The Creator of Crowds' as a part of the Soccer package. 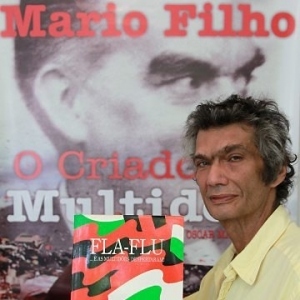 A filmmaker and journalist from Rio de Janerio, Filho's other notable films include 'Bye Bye Romario', 'Pele', 'O Papa da Bola'. “It is most unfortunate that we lost one of the most important delegates during the film festival. We condole his death,” Goa chief minister Mr Digambar Kamath said. IFFI director Shankar Mohan said: “He was speaking at the open forum and was cracking jokes and laughing a lot... it was at that moment when the cardiac arrest happened. The doctor came to his aid and he was rushed to goa medical college and hospital immediately. The organisers have suspended all the festivities for today and stopped music in the film festival premises. Mohan also said that they are in touch with the Brazilian embassy regarding the tragic incident.